« The Return of the Crone? If it’s a summer’s day of peace and quiet you’re after, you won’t find the latter on the outermost of the innermost of the Hebrides. You can’t escape the racket. Best heard from your bicycle on a summer day bowling along the low-rise contours of Tiree, this innermost of the Atlantic’s easternmost islands. Tubby, almost-grown lambs still bleating for their Mas, cattle all low and lowing. The birds in full concert and chorus: the nervous trilling of soprano swallows, the seagulls skee-aw skee-awing, the prrrreeppeepeepeepeep of the oystercatchers catching nothing of the sort. Cream crescent beaches catch the waves’ roaring blue rhythm as their cymbal-sounds crash to the shore. And the wind! They say if the wind drops, a Tiree man falls over. It roars in your ear, whips your hair into tugs and disguises the tanning your face is taking from the eye-narrowingly bright sun. There’s no escape from either in this surround-a-sky land of no-night summer days. 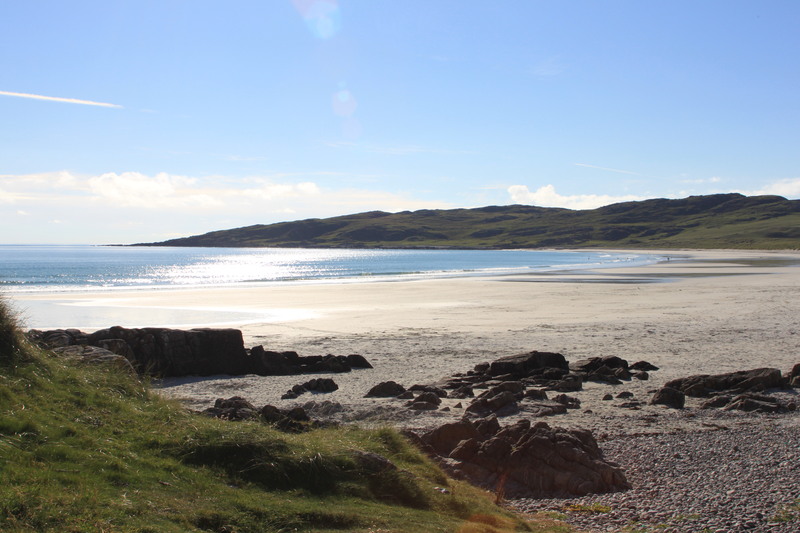 People voiced the lives of these places… Balephuil…Balevuillin…Caolas….Balephetrish … Cornaigbeag….soft, labial, aspirant tones kept harsh lowland consonants at bay – Tiree’s mouth-music silenced this keelie’s twang. Er falalalo – the land of the heedrum-ho fair put her gas right at a peep.